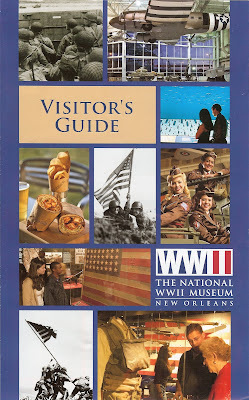 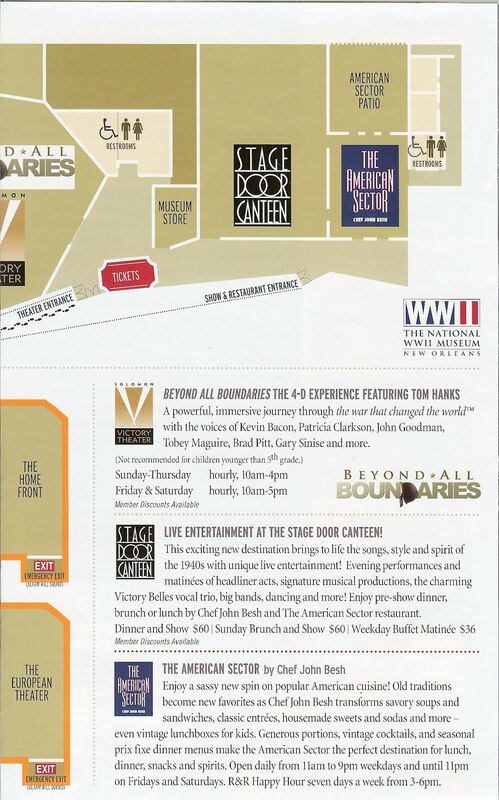 Yet another little surprise about New Orleans: it boasts an interesting World War II museum called the National World War II Museum. 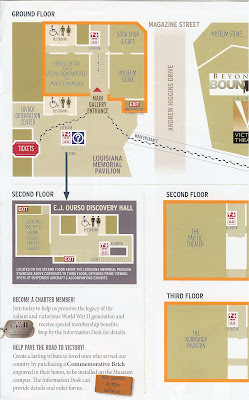 The museum is about a 20 minute walk from the French Quarter heading south by southeast. 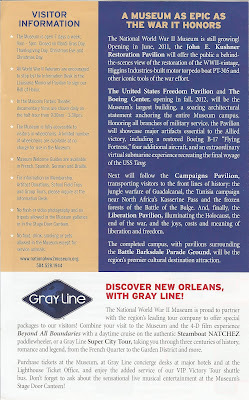 The Higgins Boat story in the larger story of the war of course, is featured (we only made it through the Normandy Invasion, not the Pacific Theater), but it’s done in context and doesn’t overshadow the main focus which is telling of the story of Operation Overload (Battle of Normandy 1944). The museum uses photos, audio, video, and personal objects and stories covering the time leading up to the landing, the actual landing (in some detail), the first days of fighting after the landing, and the eventual retreat of the Germans from France. Some favorite quotes we saw while visiting the museum: “Smash the Axis, Pay your taxes” (a saying during the war effort) and “In wartime, truth is so precious that she should always be attended by a bodyguard of lies.” (Prime Minister Winston Churchill said this in 1943).